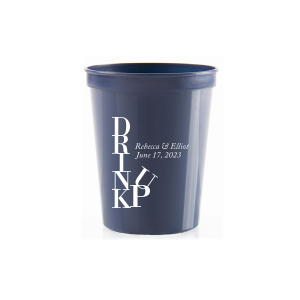 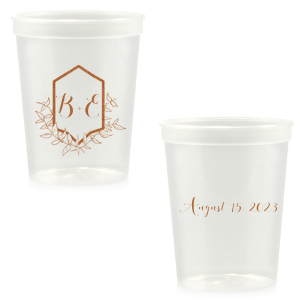 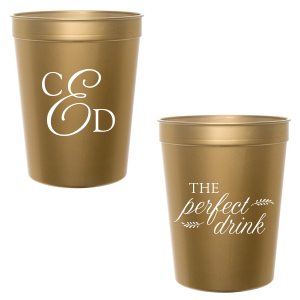 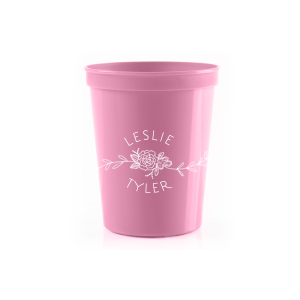 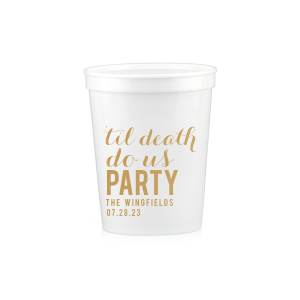 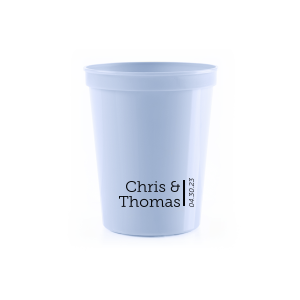 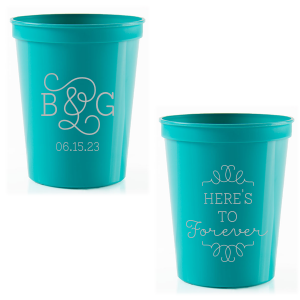 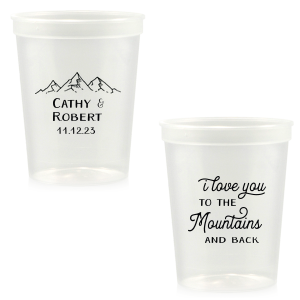 Design your custom plastic 16 oz wedding cups to give your wedding reception that special touch you've been looking for. 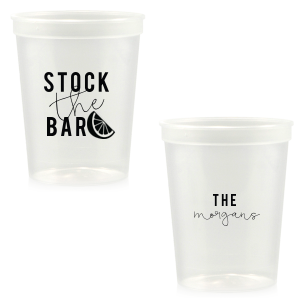 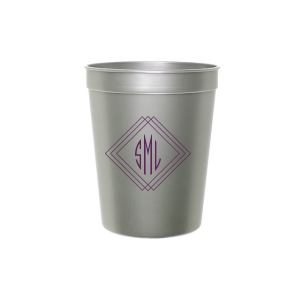 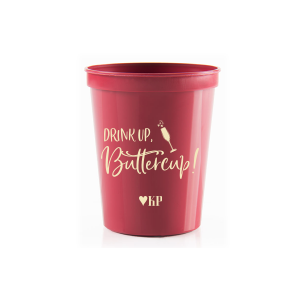 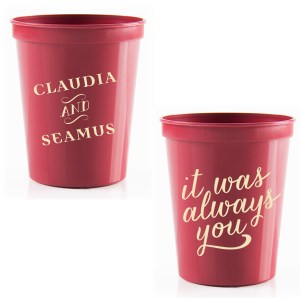 Add a festive drinking phrase, your personalized monogram or your favorite wedding motif to your 16 oz stadium cups by choosing from our designs below or starting from scratch in the For Your Party Customizer. 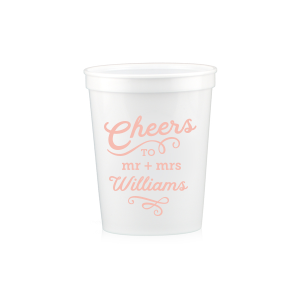 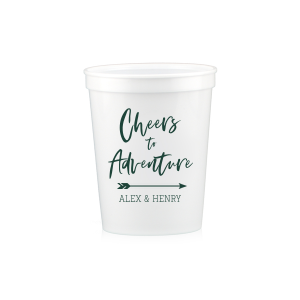 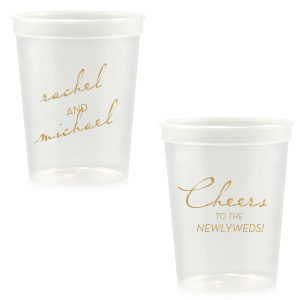 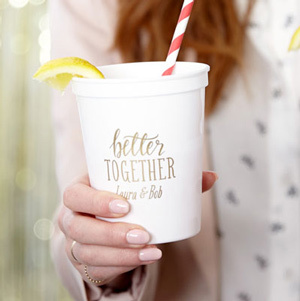 Drinks taste at least twice as good when served in custom 16 oz plastic wedding cups designed especially for the newlyweds and their special day! For Your Party 16 oz wedding stadium cups come in a variety of colors and stylish designs so that your personalized wedding bar will have the perfect unique touch that your big day deserves. 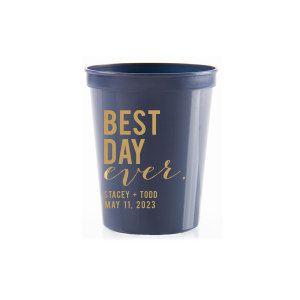 Whether your wedding is a bright summer wedding with a trendy and modern look or a chic winter wedding with all the classic frills, you find the right spot for custom 16 oz stadium wedding cups. 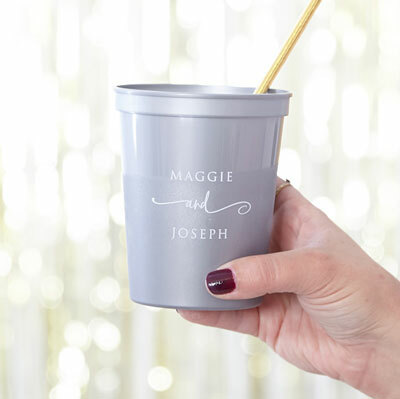 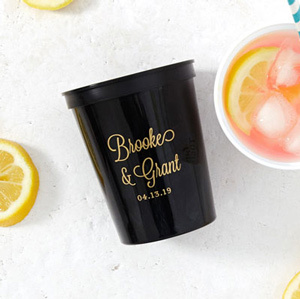 Serve beer, soda and water to guests who will love taking home their wedding stadium cup as a personalized wedding favor they can enjoy time and again.